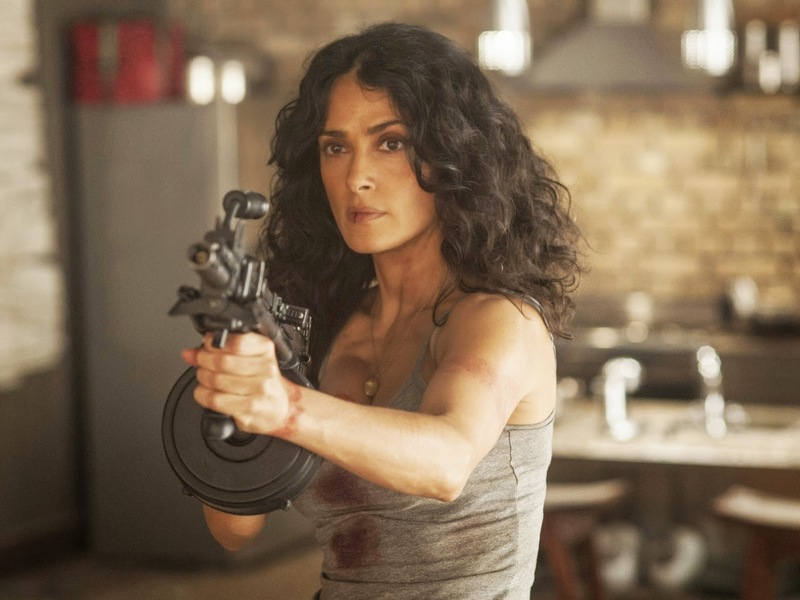 Hayek stars in her latest action thriller “Everly” as a prostitute whose apartment was attacked by a brutal criminal overlord for her secret collaboration with the police to hunt and arrest the group responsible for the city’s rampant and unjust prostitution practices. Dealing with a great number of gunmen after her, Everly will have to pass through an army of assassins sent her way in order to get to her mother and daughter to bring them to safety. “Everly” premiered at the recent Fantastic Fest and has received a whole lot of positive reviews, the script for Everly, penned by newcomer Yale Hannon, was on the Hollywood Black List of most liked scripts in 2010. The movie is set entirely in one location where a barrage of action scenes have been staged where Hayek’s character fights and fends off a war in her apartment in order to stay alive. Non-stop bloody action starts February 11 when “Everly” opens in theatres nationwide from Pioneer Films.